With artsy, modern and unique design, we offer guest a truly unique bleisure - business and leisure - stay experience. Welcome to Pullman Jakarta Central Park, where our world is your playground. Located in Podomoro City, a 21 ha super block of office towers, premier apartments & shop houses. The only 5-star hotel in West Jakarta, close to International Airport & major universities. Winner of multiple international awards in service & design. Comes with a unique pop-art interior design concept, guarantees extraordinary culinary journey with extensive offers at Collage All Day Dining, Bunk Lobby Lounge & in-room dining and owns comprehensive venues accommodating meetings & social events. 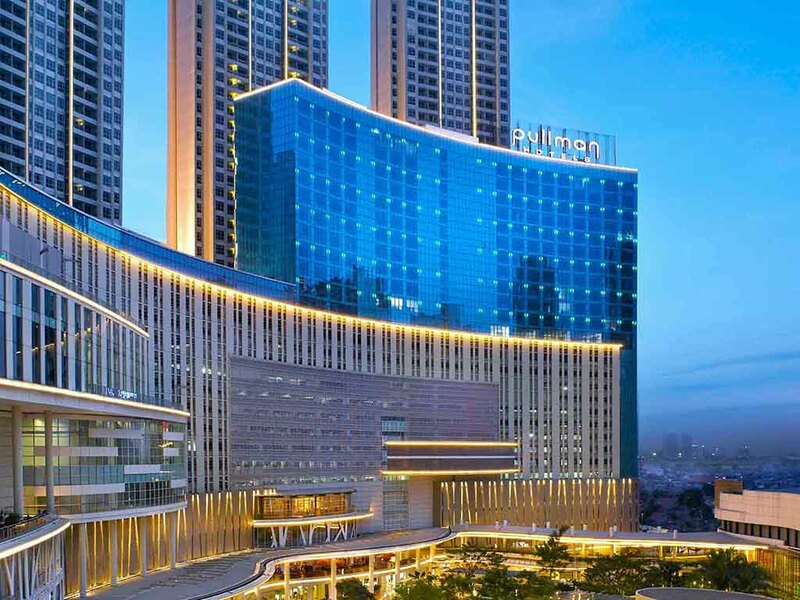 Pullman Jakarta Central Park is located in Jakarta's western edge, Podomoro City. Adjacent to Central Park Mall (shopping center) and close to Ancol Dreamland (waterfront destination) and Monas and National Museum (historical sites). Is an all day international dining offering a scrumptious line-up for buffet breakfast, lunch and dinner. Be amazed by the restaurant's live cooking shows and the freshness of its products. Popular dishes are available via a la carte. The Bunk offers an interactive and cozy space to chill-out. Let our friendly staff pamper you with our fine range of wines, cocktails and tapas sized bites. The signature Bloody Mary is simply addictive. We have been staying in this hotel since it was open and undeniably their standards have been maintained. Quality of service is exceptional! I would like to personally thank Fikan for the wonderful arrangement and excellent service. Also thanks to Arief housekeeping for past 6 days keeping my room clean and tidy whenever I returned. Great asset to the hotel! Great hotel and great staff, good location, excellent breakfast. Quick & smooth check ins Rooms are clean & Comfy. Everything in this hotel were nice. Room were clean, excellent Breakfast with lots of varieties, everything were working properly. My first stay at Pullman Central Park was a great experience. I'm impressed with their warm hospitality and prompt service. It's clean and well-maintained. It's also friendly environment for a family stay. I could have rated 9 or 10 but I guess it is difficult for anyone to do so when your lower ranked colleague was given a complimentary upgrade to executive floor but not you. It was good, but not to an international chain 5 stars. Great customer service from start to end. Although the room I got had a leaky sink but it was fixed promptly. One improvement I hope is the breakfast spread which was not really to my liking as I felt it was too salty for my taste. Quite dissapointed on the sashimi which I think was not really prepared well. Good service in the executive lounge. Very nice, clean rooms with all the amenities you would expect. Very comfy beds. Breakfast is a feast, with choices from every corner of the world, perhaps too much. Service can be a little too attentive, as they take your plates, cups etc as soon as you have put them down! Save on the washing up and let us use the same cups / knives again. The bar downstairs is very good and service good beers in a very nice atmosphere. Overall a great hotel in a great location. The hotel is located within the centre of the city. Near shopping malls and nice food places. Hotel ambiance is great, rooms are very clean, and accommodating staff. Well connected to major shopping areas. Hospitality was too good. Room design and bed comfort was wonderful. Best part is that surrounding remains lively even late night. Next door shopping mall is perfect place for evening shopping. Good place, we were upgraded due to the hotel being full, but we found the room was not that big too. We also found the design / positioning of the shower a little strange, but I guess everyone's taste is different. Coffee on the bar was very expensive. Rp 55,000 (or probably more) for a long black, that is AUD 5.5, 60% more expensive than Sydney. Otherwise staff is great, very helpful and friendly. Location is also great. For its rate, the room is not big enough. The breakfast taste so so. The dimsum that I've been expecting was not up to its quality.